We hope you are enjoying our '12 Days of Christmas' promotion in which we offer a fantastic one-off daily deal on some of our most popular masonry crack repair, pothole repair, roof repair and mould removal products. Here is a sneak peek behind the last few doors of the advent calendar! 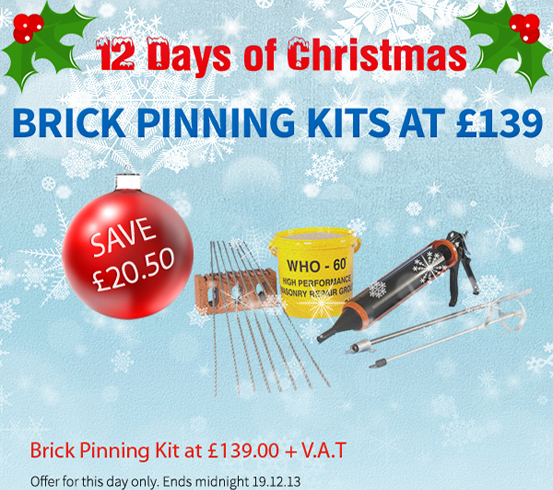 On Day 9, you can purchase our professional Brick Pinning Kit for the incredible price of just £139.00 +vat. The comprehensive kit contains 10 stainless steel helical stitching bars of the heavy-duty variety (8mm x 1m), specialist masonry crack repair grout, mortar gun applicator and all accessories. Grouted helical pins provide strength and stability to stone and brick structures, quickly reconnecting walls,­ repairing cracks and reinforcing brickwork and masonry. Many potholes in drives and pavements are caused during the winter months due to the freeze/ thaw cycle. Ultracrete Permanent Pothole Repair, on offer at just £30.00+vat on Day 10, is a versatile and efficient cold-lay asphalt which, solvent free, quickly provides repairs to a variety of tarmac surfaces. 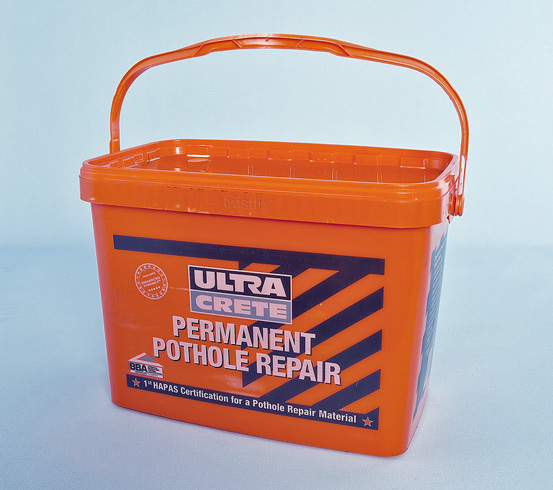 Offering lasting results, Ultracrete Permanent Pothole Repair is one of our most popular items. On Day 11, customers will be able to purchase 5kg of our renowned Acrylic Roof-Sealing Paint for just £45.00+vat. The elastomeric coating is enriched with fibres which, enhancing the coating's flexural strength, allow it to flex naturally with thermal movement of the roof. The product can be used even during rain, providing an instant seal on a variety of surfaces including concrete, asphalt, slate, metal, lead and asbestos. Every builder should have one on his van as an essential and versatile part of his basic repair kit. Buy yours know! Damp properties often suffer from condensation and infestations of black mould, which favours the moist conditions. 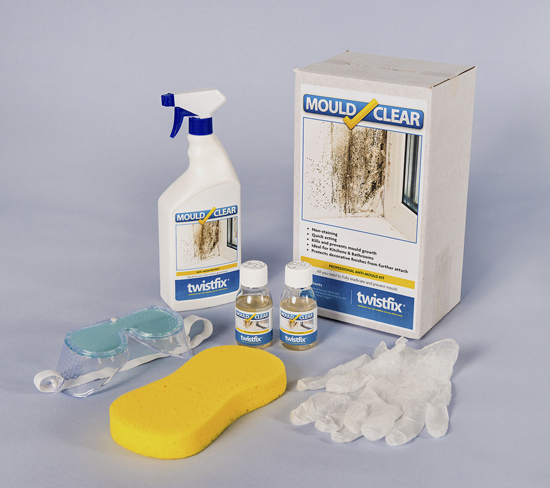 Our final '12 Days of Christmas' offer will allow customers to buy our effective Mould Removal Kit for just £25.00+vat. The 'Mould Clear' system has been created by experts in the industry to ensure the treatment is safe, simple and effective against unhealthy black mould. The kit is comprehensive and contains 1L of ready-to-use biocide spray along with fungicidal paint additive, protective clothing and accessories. 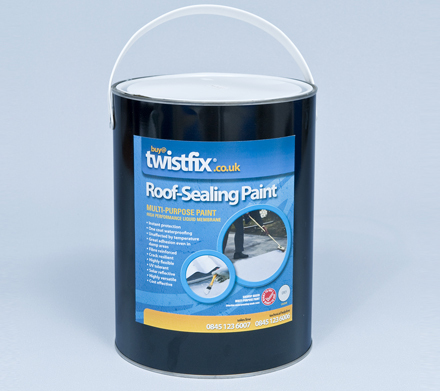 For more information about Twistfix masonry crack repair, pothole repair, roof repair and mould removal products, please contact 0845 123 6006 or email sales@twistfix.co.uk.